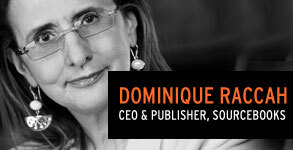 Innovative book entrepreneur, Dominique Raccah, is the founder of Sourcebooks, where she serves as publisher and CEO. She is fascinated by the transformation of the book and wonders whether digital books might well be changing everything. Hear her thoughts on Rethinking Failure: Finding the opportunities in our challenges. See Digital Book World’s speaker lineup here. What in-house, industry, or supply-chain data can you capture - and how should you use it? A panel of CIOs and CDOs from McGraw-Hill, Perseus Book Group, HarperCollins Publishers, Macmillan Science and Education and F+W Media will help you focus on the data and the methods you need today. Review Digital Book World’s agenda here. 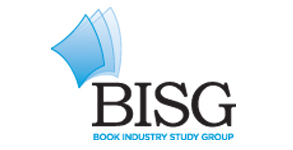 Book Industry Study Group's Making Information Pay for Higher Education offers new insights into the unfolding digital transformation in higher education publishing. It is packed with value for senior managers in publishing technology and operations, marketing, strategy, and content development; retailers; and those involved in content delivery whether print or digital. Join us January 13 for nuts-and-bolts sessions focused on production, workflow, design, EPUB3, typography and the future of eBook production. Meet a curated group of publishing services suppliers and find partners who can support your transition to new systems for content management, digital workflow, ebook design & production and audience development in the exhibit hall. View the list of exhibiting companies and event sponsors here.